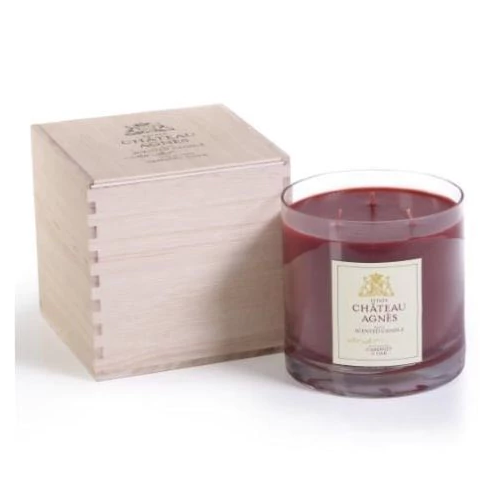 class="manualtitle">Chateau Agnes Scented Three-Wick Candle Jar. Arrives in it's own Wooden Crate. A robust fragrance of Cabernet and Oak in a rich red color wax, about 5.5" x 5.5" x 5.75" with a 75 hour burn time. Makes a great gift for wine lovers.